In a bowl mix to combine the bread crumbs, the grated cheese, milk and presil. Add salt to taste and a tbs of olive oil. 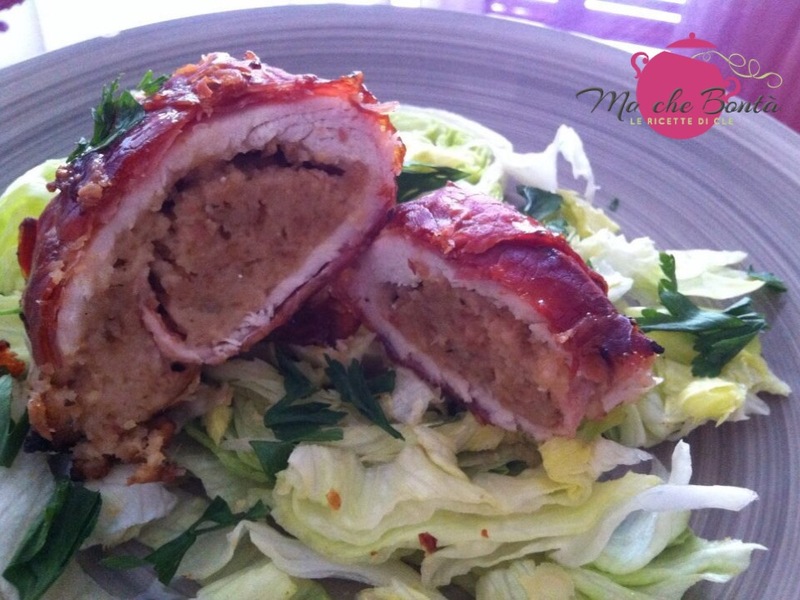 Distribute the mixture on the chicken slices, roll over and wrap with speck. Put the rolls in a pan, sprinkle with rosemary and sage, add some olive oil and cook in the oven at 350*F for 20 minutes.